I have to say that the Jacob’s fleece has got to be my most favourite of fleeces. It is easy to wash and an absolute joy to work with. But, like you say, you do need the sun!!! Wish I could have Jacob’s sheep here in Luxor!!! 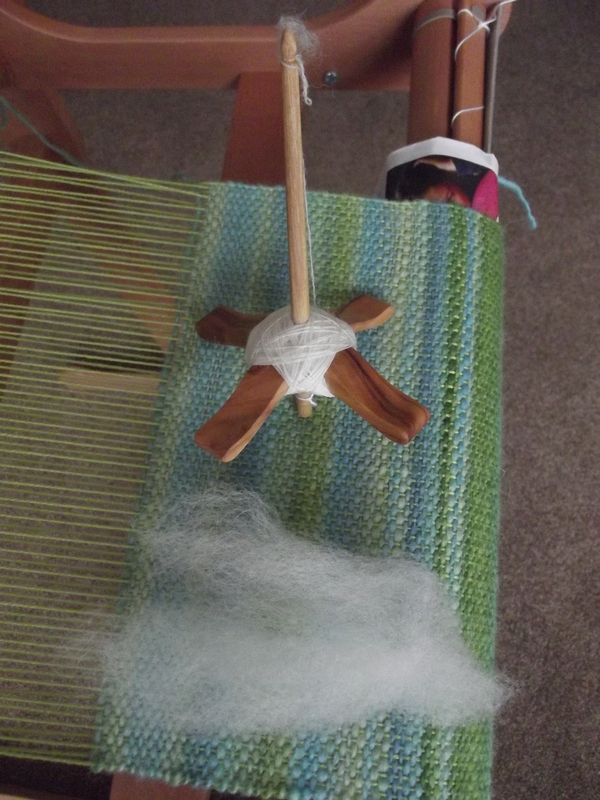 I’be only been doing spinning for a couple of years and am in complete admiration at our spinning such fine, even wool! Once I get my spinning equipment over here, and some good spin-able wool, maybe with more practice I will get there!!! 🙂 I managed to get some Jacob fleece washed and dried all in one day, I must have just struck lucky with the sunshine. How long until you get your spinning stuff? Nice one! Its brilliant when the weather is good to you! In a few months time I can pick up my stuff! I will have to get fleece sent over from the UK too as finance permits! In the meantime I am improving my newly learned crochet skills!!! I’ve got to do something with wool!!! That IS a lovely fine yarn you’ve got started there. I just had my hand spindle out last night. Oddly enough, I sometimes to prefer to ply my wheel-spun yarn with my big drop spindle. Wheel and spindle spinning do have a different feel to them, don’t they? I guess the spindle is easier to pick up and put down so better for spinning in little bursts – it has made a nice change to be spindling!